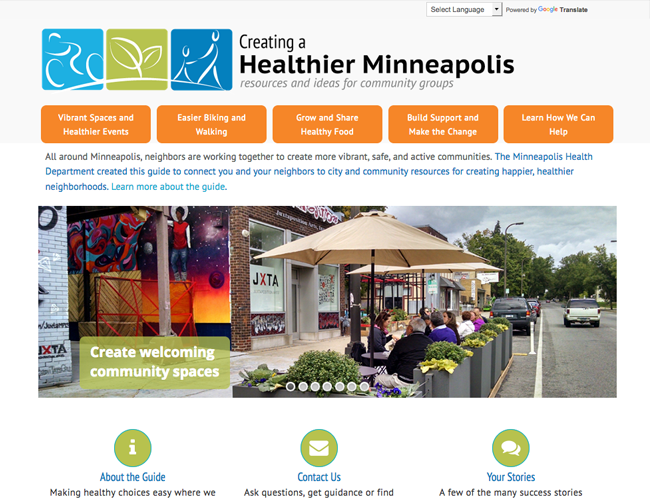 Objective: Information source for community members and groups promoting healthier options and opportunities in their neighborhoods. Providing support, guidance, opportunities and options for safer biking and walking, community gardens and spaces. Project: Design logo. Design, build website, slides.